This year I set my Goodreads goal at 40 books, and just managed to read enough to get me to my target at the end of November. December has been a slow month for reading as we've been fairly busy in the run up to my birthday and Christmas! Here are some of the books I enjoyed most this year. There wasn't much of a chance that I was going to dislike this. I love Kate Atkinson, her characters are so authentic and she just knows how to write a good story. This one is about Juliet Armstrong and her life working for the Secret Service during World War Two. 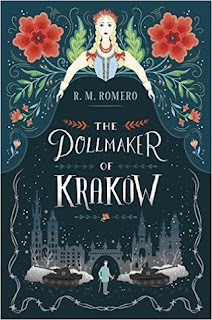 Perfect historical fiction with a really satisfying mystery. Not for everyone but as a massive Friends fan myself I really enjoyed reading this. 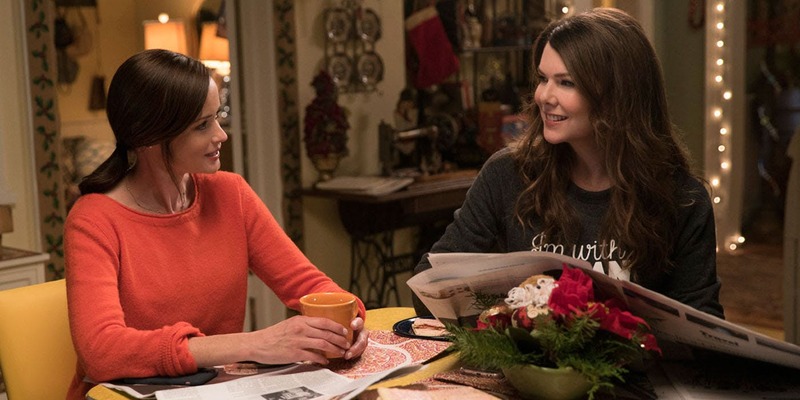 It was an interesting look at how Friends became so successful, and I had no idea it had been a fairly bumpy ride in the the beginning and again towards the end with various different negotiations going on. 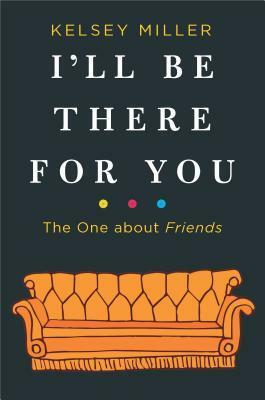 I liked how the author examined wider cultural trends - we can all acknowledge how Friends can be problematic from a more modern perspective, but love it all the same. I enjoyed the author's footnotes too. Clearly a labour of love and well researched. This was one of my favourite reads this year and ever. 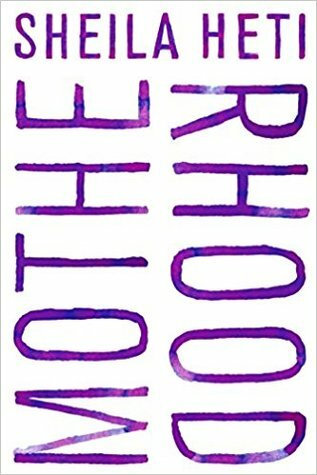 Hadia, the eldest daughter of an Indian Muslim family living in America, is getting married and all the characters are wondering whether Amar, the estranged youngest child, will be able to put aside his feelings about his family to be there for Hadia. 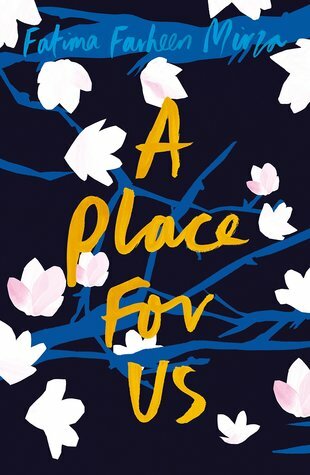 The main story is the reason why Amar is estranged from his family, but in exploring this the author weaves together many poignant themes including the clash of religious and cultural traditions with western ideas, and the Muslim experience following 9/11. Despite dealing with such big topics the writing was never heavy; it's very intricate and quietly moving. At it's heart it could be about any family - parents trying their best, sometimes failing, and children learning to reconcile their parent's wishes with the direction they want their own lives to take. 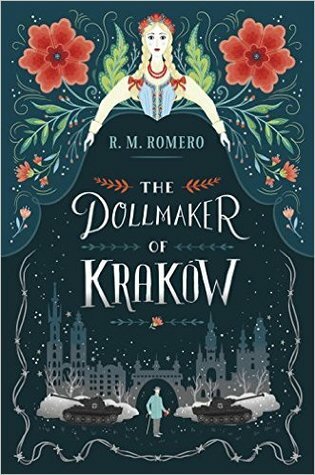 Just absolutely beautiful and very highly recommended. 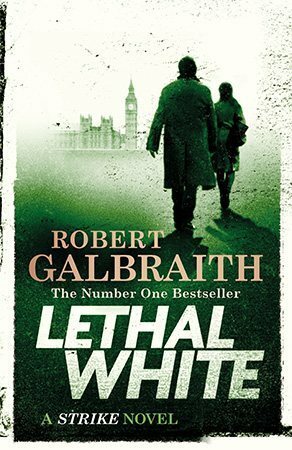 My favourite Strike novel yet, and that's about all I can say. How does anyone review crime novels without giving anything away?! One of the first books I read this year and nothing else has really beaten it. 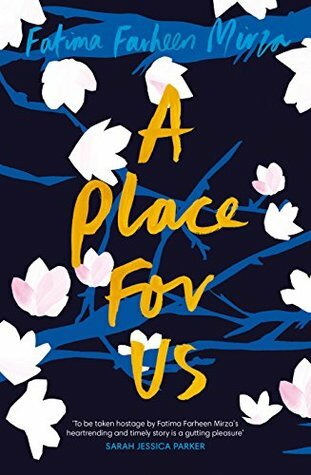 I gushed about it in an earlier post (which you can click here to read) so I won't again but this is honestly one of the most beautiful and moving things I've ever read and it will forever have a place on my shelves and in my heart. I'm so glad I now keep a 'best of' shelf on Goodreads each year, it makes writing these posts so much easier! Next year I'm keeping my target a little lower at 24 books, averaging two a month. For the past couple of years it's been quite high and I have noticed it taking some of the enjoyment out of reading for me as I'm trying to race through to reach my goal, and it also causes me to give up on some books before I would have done otherwise. Looking forward to savouring some big chunky reads in 2019! 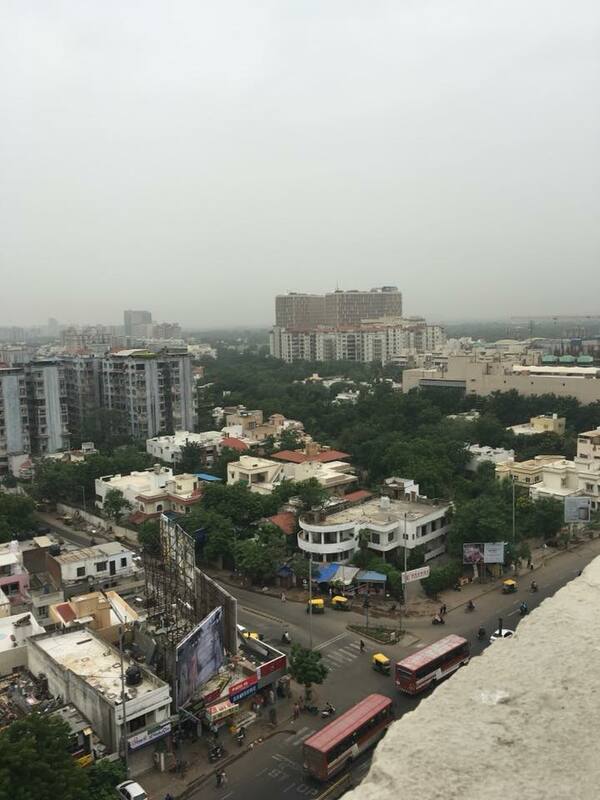 Last month I was lucky enough to travel to India on business. It's the first such trip I've taken with any job and I was really nervous when I found out I would be going, but it turned out to be an amazing experience. There are loads of little details that I don't want to forget so I thought I'd sit down and write a good old fashioned diary post. Fair warning, this could be quite a long one, so if you're interested maybe go grab a cuppa before you sit down to read! Let's start right at the beginning. On Saturday 11th August I hopped on a train down to the big smoke, where I would be staying overnight to fly from Heathrow the following day with a colleague from London. It was a bit like blind date as we'd never met before! Luckily, she's absolutely lovely, and we had a great chat over dinner that night in the hotel. We had to be at the airport for 6am the next day to check in for our flight. 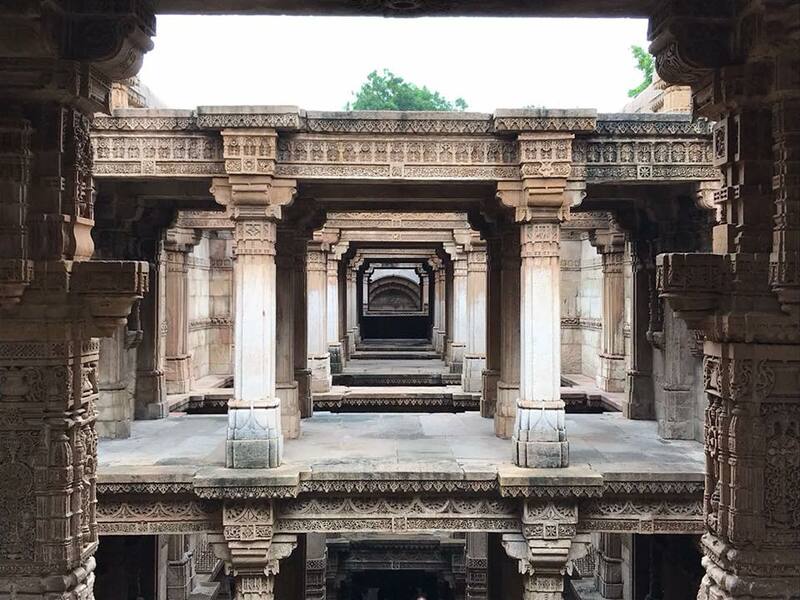 Our final destination was Ahmedabad in the northern state of Gujurat, India, but our journey was in two parts - London to Doha (Qatar) where we had a short layover then on to Ahmedabad from there. Doha airport is the biggest I've ever seen, to the extent that we had to get on a train from one end to the other to find our gate for the next flight. Really expensive as well - £9 for a large Toblerone at Duty Free! After travelling for nearly 13 hours we finally landed in Ahmedabad. Going through passport control and making our way out of the airport was an experience - there were people literally pressed up against the glass outside to get a look at the two of us! It was also absolutely jam packed which we were both really surprised at as it was nearly 3am local time when we landed. It was later explained to us that no matter what time it is, in India a person's whole family will more than likely come to meet them at the airport when they land. Parents, grandparents, aunties, uncles, children, nieces, nephews... It's not uncommon for whole minibuses full of family to come and collect someone, which I think is really lovely. 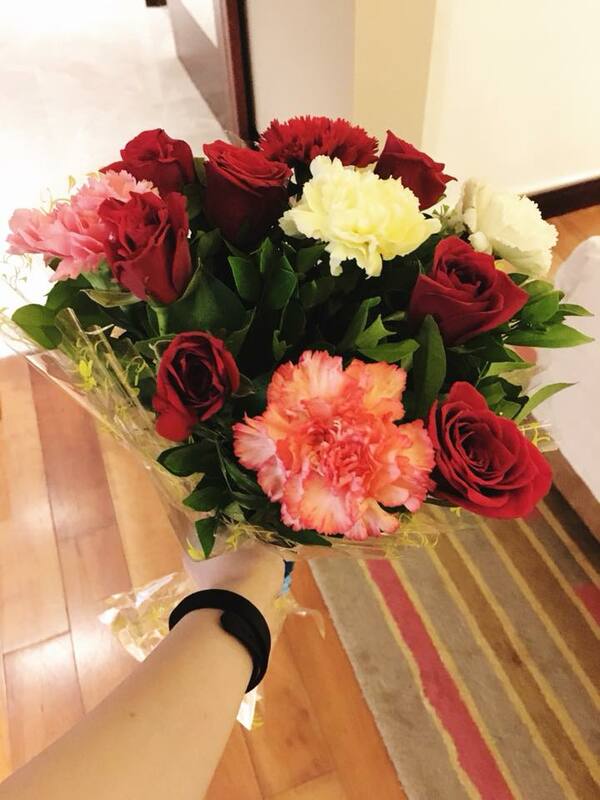 We were met at the airport by a colleague from our international office who gave us a bunch of flowers each(!) and accompanied us to the hotel. We were staying at the Courtyard by Marriott which was so amazing, but more on that a bit later. The drive from the airport to the hotel was something of a culture shock. It was around a 20 minute journey and in that time we must have passed at least a hundred stray dogs, and cows everywhere. In the middle of the road, even. It would become a running joke by the end of the week as to who would be the first to spot a cow every day on the drive to the office. We later learned that all the cows are owned and tagged, but they are so intelligent their owners let them out in the day to roam and graze (thereby feeding themselves) and they are able to find their own way home at night time! By the time we were all checked in it was nearly 4am on Monday 13th August, local time. We would be picked up at lunchtime for the drive to the office so it was time to get some sleep, in the biggest and comfiest bed I've ever seen. There was also another bunch of flowers waiting in my enormous room, and a welcome note from housekeeping. So far, I definitely felt welcome in India. We were picked up later that day to go to the office, along with a few other people. There were people arriving and leaving all the time from different companies but there were usually about 6 of us each day. We were collected most days by our driver at around 12:15pm as India is 4.5 hours ahead and the team in our international office work from around midday, to coincide with our working day in the UK. I got used to it by the end of the week but that first journey to work was an experience in itself! The general rule for traffic seemed to be if your vehicle will fit, go for it. Hell, go for it even if it won't fit! The cows will move, right? 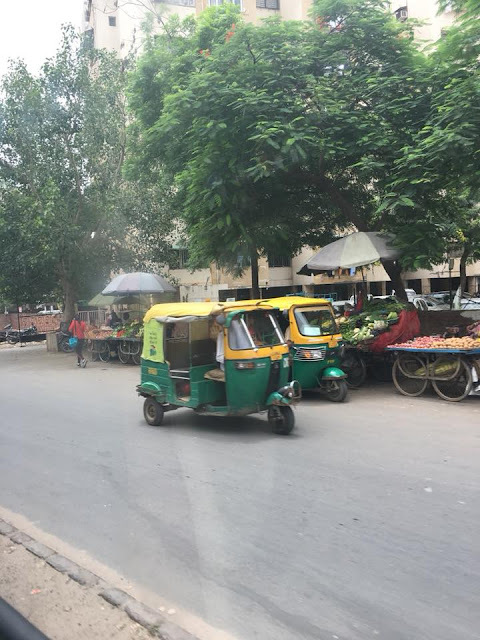 😅 Of course a really common form of transport in India is the Tuk Tuk so it was really fun to see them everywhere too. My colleague Katie was even lucky enough to have a Tuk Tuk ride after I had left which I'm pretty upset I missed! Next time... The noise from the traffic was something else too. The car horns are constant all through the day and night (but luckily we couldn't really hear them in the hotel). It was on the journey to and from the office that we could really appreciate how far from home we were. The city of Ahmedabad is a real mixture of old and new - on one corner you'd have a modern white apartment building with wrought-iron balconies, the next what I would describe as flat-pack buildings. The contrast between rich and poor was quite apparent too, we did unfortunately see many beggars and street children which was quite upsetting, especially on the occasions where we stopped at traffic lights and they would be trying to get our attention at the windows of the minibus. It definitely gave me pause for thought. 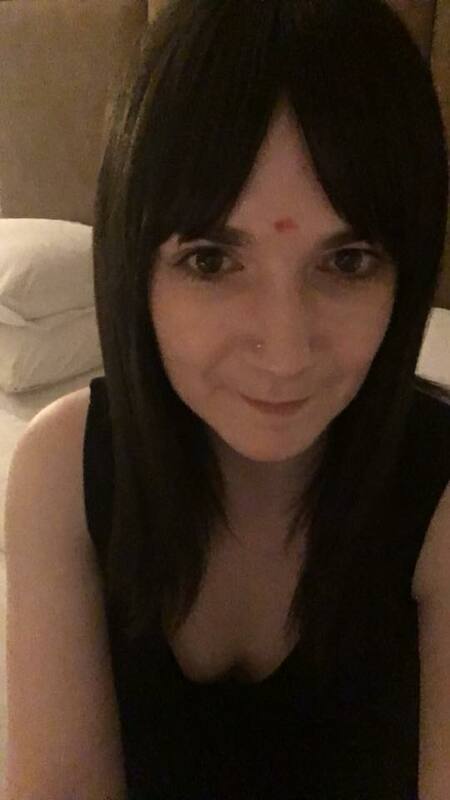 When we arrived at the office, we took part in a small welcome ceremony where we had to light a candle and then our host applied a traditional red Bindi to our foreheads. We were both given another bunch of flowers too, our third since arriving! Long story short, it was noticed and the next thing I knew someone had been out and bought me a new pair of flip flops. I was amazed. There's a funny story to tell about lunch too. On the first day Katie and I opted for chicken nuggets from McDonalds - it had been a long day of travelling the previous day and we both just wanted something we knew we'd like; adventurous eating could come later! But when it arrived, we both had a total of 18 chicken nuggets each and chips. Needless to say we couldn't finish our lunch that day so when we opted for the same on our last day, we asked for one box, still expecting a full meal... Nope, just one box of 6 nuggets each. It made us laugh! For the next week we worked in the international office getting to know our team and doing some training. The office was really modern and when we were there it didn't feel much different to working at home. Most days we were collected from the office at about 8pm. One night we were treated to dinner at a local restaurant, and another we were taken to the mall to do some shopping, but most nights we went back to the hotel to eat and then pretty much head to bed or to relax in our rooms. The food in the hotel restaurant was really good, the menu included western food and there was an Indian buffet as well so lots of choice which was good for me as I'm not a lover of spice. However by the end of the week I had tried and loved some Indian food! We were lucky enough to be there to experience the Independence Day celebrations on 15th August. The previous evening the hotel posted notes under the doors of our rooms inviting us to a flag ceremony in the morning - on the roof! This involved walking across metal vents like something out of Mission Impossible, to get to the terrace. The flag was hoisted and accompanied by some music and marching, then the National Anthem was sung whilst everyone saluted. 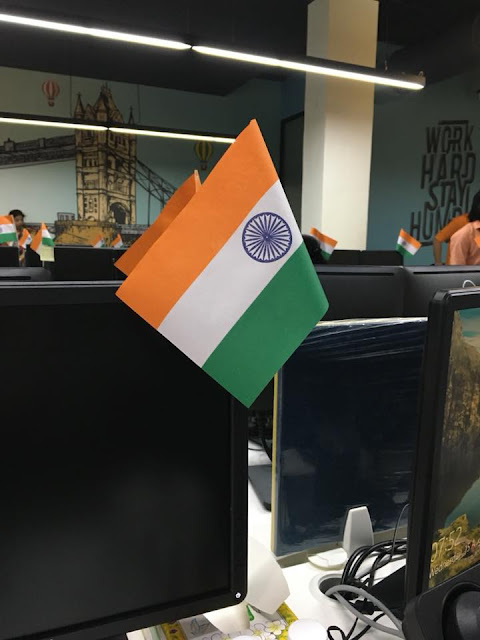 The office was decorated with flags too and everyone came to work in traditional dress. There was a fashion show and competition in the afternoon for the best traditional dress, one prize for the women and one for the men which they asked us to judge. It was really hard to choose a winner because everyone looked amazing, some of the saris in particular were absolutely stunning. Luckily, we knew the day before that everyone would be dressed up and I was able to find an orange scarf in the hotel gift shop to wear so that I could join in. Everyone was given little Indian flag pins to wear too including me and Katie. If you know me you'll know how much I love little things like that; the perfect souvenir for the memory box. My week in the office went by so quickly and it was really sad to say goodbye to our team on my last day. They were all so lovely and I'm really grateful that I was able to make those connections, that probably wouldn't have been the case if I'd been there as a tourist. I hear from them almost every day in my job back home as well, so it's really nice to be able to put faces to the names. Before I left we had group photos - I was not allowed to leave without taking a photo with each of them. I felt a bit like a celebrity! They had also bought presents for me and Katie, some amazing traditional jewellery, and I also received a present from the company which was a beautiful wooden trinket box. That was the end of my working week, but my experience didn't end there. As there were a few of us flying home that weekend we decided on our last night as a group to eat at the Indian restaurant in the hotel called Bayleaf. I was a bit apprehensive but it was a m a z i n g. The chef was really good, he came out to take our order personally and in the end we didn't order from the menu at all. He asked each of us individually what kind of things we like and how much spice we can handle, then suggested dishes for each of us to try and brought them out for us all to share. I had butter chicken and it was one of the best things I've ever tasted. Everything was absolutely delicious but the butter chicken was by far my favourite and I'm so glad I was brave and tried it. The only trouble is that I may have been spoiled for any other Indian food from now on... if Chef Rahil from the Marriott didn't make it, I'm not interested! The next day it was time for some sightseeing. Divya kindly gave up her Saturday to take us out. First we visited Adalaj Stepwell, a beautiful temple built in 1498. 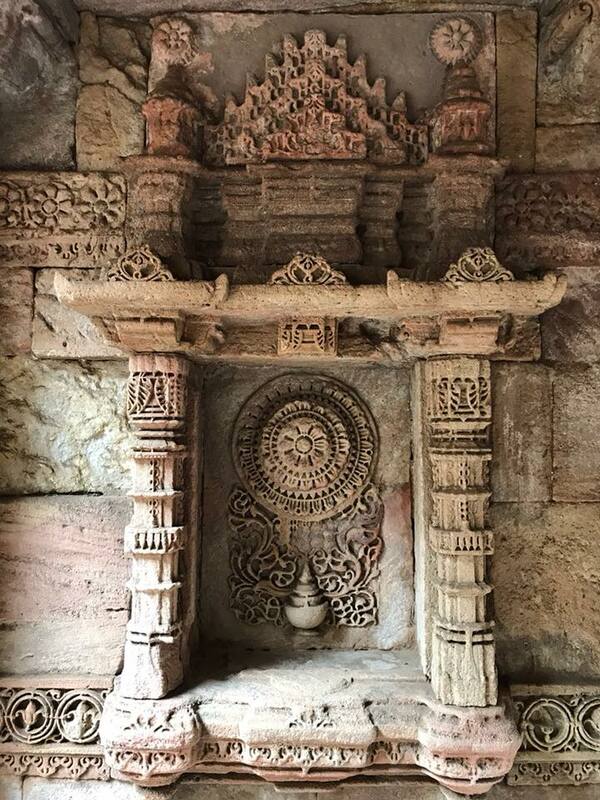 The story goes that it was commissioned by the King for his Queen after she told him she would only accept his marriage proposal if he built her a temple. Construction was stopped when she died at her request, as she didn't want it to be completed for anyone else. The 7 workmen were also executed so that they couldn't replicate the work elsewhere - their tombs can actually be found on the top of the temple. Apparently, the Queen took her own life by throwing herself into the well after the King found out she had been married and widowed before. At that time in India only one marriage was allowed. I love how she didn't tell him, but still made him build her something so fancy before she would get married! It was really impressive to look at and I loved all the detailing, especially the little elephants. Next we stopped for some lunch at a restaurant in another hotel called The House of MG where we had what I can only decribe as Indian tapas. Small spoonfuls of several dishes were served to us on a large brass plate, and we also had small dishes of various sauces on the side to dip naan in. Again, all really tasty and surprisingly not too spicy. While we were eating Divya explained to us that everything you eat in Gujurat will have some sweetness to it, as the Gujurati people believe that by adding sweetness to their food they are putting their heart into their cooking. After lunch we visited the Gandhi Ashram at Sabarmati which is where Mahatma Gandhi lived and worked between 1915 and 1930. It's now been turned into a museum and there is a lot of information about Gandhi's life and work. I think I had only seen pictures of Gandhi as an old man before, so it was interesting to learn about his upbringing and early life. It's really peaceful there too, close to the river and also the only place we encountered that was free from the aforementioned traffic noise. There are actually signs up along the road outside, asking that people do not use their car horns out of respect. We were grateful to get back into the air conditioned taxi after walking around the Gandhi Ashram - as it was mostly outside we were feeling the heat. Although not particularly sunny, the weather there was hot and very humid. Back to the hotel we went, where I had a few hours to pack, eat dinner and have a sneaky nap before my flight home in the early hours of Sunday morning. When this trip was first mentioned, I really wasn't sure that I could do it at all. The thought of flying so far away without Paul or my family frankly terrified me, but I need to realise that I'm much more capable than I give myself credit for. 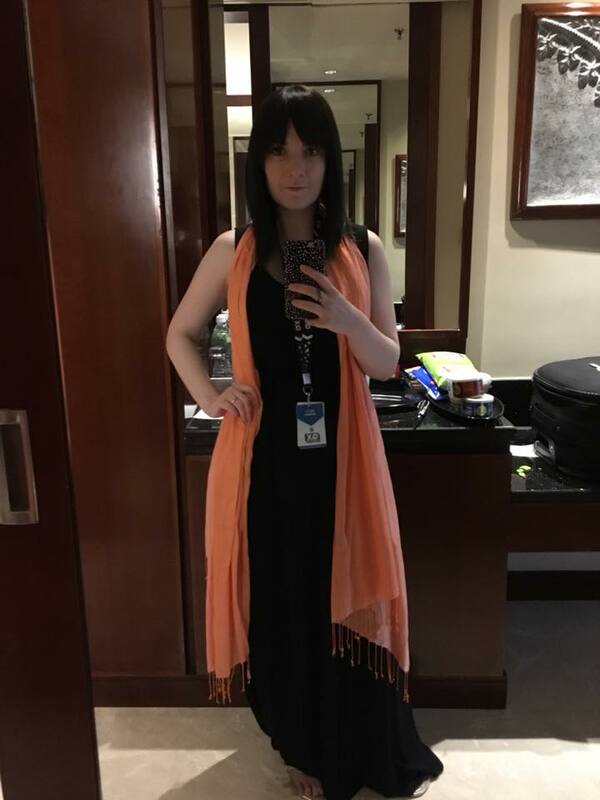 I really enjoyed my time there and I'm really hoping I get to go back soon - our team leader in the international office asks me whenever I speak to him when they can expect to see me again and I tell him I'm working on it! Where else am I going to get my butter chicken fix? What's on my library reservation list? Another September, another shuffle around on the blog. Doesn't look too different but isn't it strange what a change of font can do for your inspiration? Thought you might be interested to know about some books I'm looking forward to reading over the next few months. I'm well on track with my Goodreads goal so far and I've read some good stuff, but so far nothing jumps out at me as my favourite read of the year. I'm hoping one of these might change that. 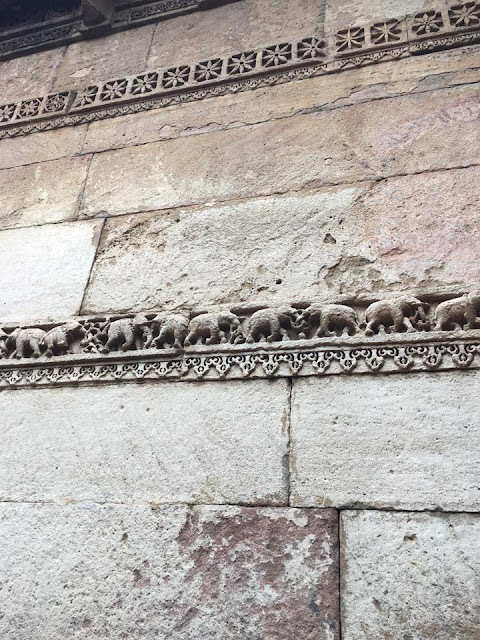 I was really hoping this one would become available before I went to India (more on that in another post!) 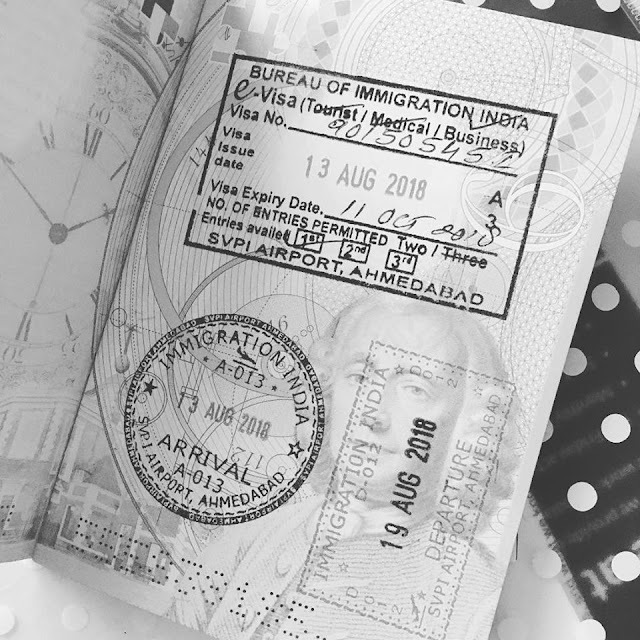 It centres around an Indian-American family who have come together to celebrate a wedding, so I thought it might provide some cultural context for my trip but sadly I'm still on the waiting list. I'm interested in the themes of balancing cultural tradition with a Western upbringing and I'm expecting quite a moving family story. Really high hopes for this one as a debut novel as well. True crime isn't normally my thing but this one has been getting a lot of good press. I enjoy thrillers, so I thought why not give it a go? Probably not one to read before bed though unless I want nightmares but a good contender for keeping me entertained on an upcoming long haul flight. It's fascinating how someone could be so committed to solving a case like this plus I'm expecting it to be well-written given her background in journalism. 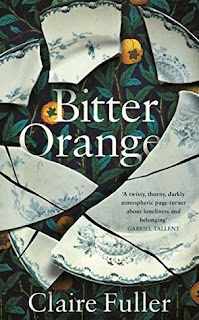 I've tried a couple of Claire Fuller's books before and not finished them, but I can't remember what it was that made me put them down so I'm giving her writing one more go with this book. 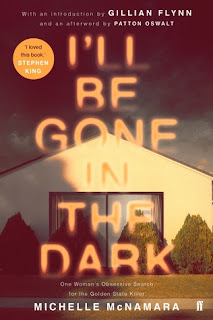 It sounds a bit more thriller-esque than her previous stories, involving a woman who makes friends with the neighbours at her summer rental and discovers that she can spy on them through a hole in the bathroom floorboards. I think it will be quite character driven and slow moving. One of those 'is everything as it seems?' stories, it could potentially be quite a strange read so let's see if I finish this one. This is a novel centred around a woman's decision about whether or not to have children. I've seen it described as a 'plotless novel' so I'm expecting more of a long discussion essay with some characterisation. I'm most interested to see how the author examines the expectation that all women must want to be mothers, I think it will be quite thought-provoking. 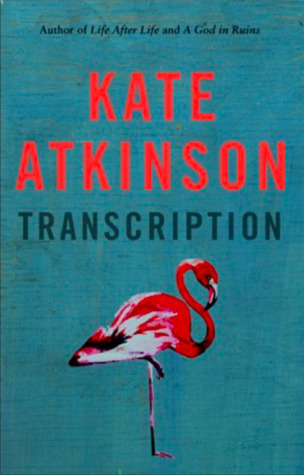 Also soon to be on the list as soon as the library gets copies (and I'm checking most days): Transcription by Kate Atkinson. Why? Well because it's Kate Atkinson. Historical fiction by Kate Atkinson. I already know it's going to be great. I've made the decision to remove my blog from Bloglovin. I've been suspicious of the platform for a while now since I seem to have been followed by so many 'bot' and follower boosting accounts. This wouldn't have bothered me if not for the fact that you can't manage your blog followers as you can on Twitter or Instagram where you can easily remove someone. Even to remove my blog I have to contact support so all in all, it makes me pull this face: 😕 and it's time to go. If you'd still like to see my posts this is your heads up to bookmark or otherwise save my blog somewhere so you can still pop by! I usually link to my posts on Twitter if you'd like to follow me there. I've added a follow by email option to my sidebar as well.